Precast concrete need Magnetic Formwork System to complete various shape. Shuttering magnet is most usage to change various structural concrete components to match clients design. Shuttering magnets are fast and stable to fix plate on the formwork pallets. Various shape magnet chamfer fixed to pallets to making groove in the precast concrete panels. magnetic formwork system products inclued Shuttering Magnet Box, U60 Shuttering Magnet, Shuttering Magnet Adapter, Steel Chamfer, Magnet Chamfer and so on. 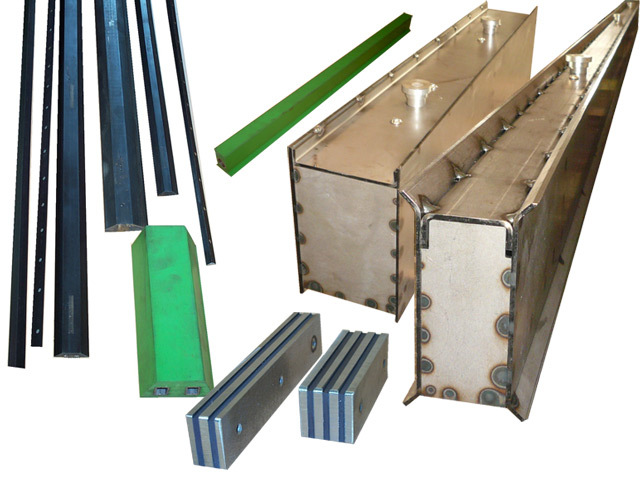 We offer a wide range of magnetic holder systems for production of prefabricated concrete elements. 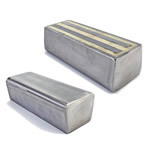 Magnets are available with formwork profile and integrated magnets (Formwork System) or as separate units (Magnetic holders, shuttering magnets), which can be attached to a separate wooden or steel formwork onto the casting table. 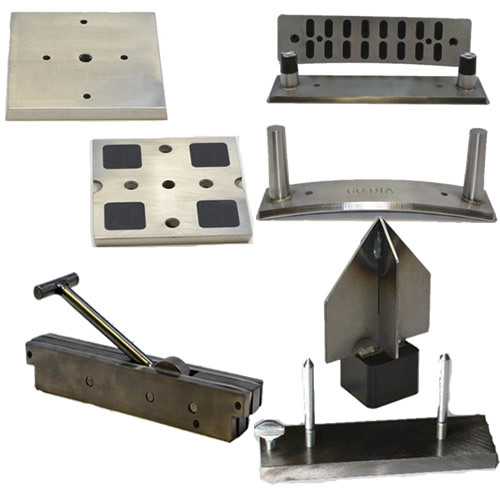 We also have magnetic holders for attach the lifting and fixing anchors, as well as various electrical boxes to steel formwork and to forming of chamfers and grooves to concrete elements. Formwork systems are delivered for operating either manually or formwork robot. 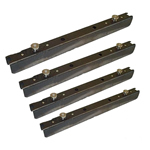 Shuttering magnets with release lever Traditional basic shuttering magnets. 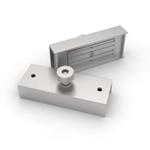 Shuttering magnets with reliable push button Fast and reliable fixing onto the casting table. Available variations for wooden and steel formworks. The lightweight shuttering magnet Very lightweight and compact magnetic holder without sharp edges due to plastic body. The Magnetic Holders is especially well suited for securing both wooden and metal formwork while making concrete elements. Magnetic Formwork System magnetic holders and U-profiles For ceiling plates- and double wall production. Magnetic Formwork System with a steel profile and inbuilt attaching system This formwork system can be obtained for various different solutions such as the casting of filigran, sandwich, façade, column and slab concrete elements. The formwork can be constructed for continuous production or for situations demanding flexibility with frequently changing element sizes. The fixing mechanism can be made to work manually or operated by robot. The formwork system is comprised of a steel profile and an inbuilt magnetic attaching mechanism that is suitable for fixing to most bases. 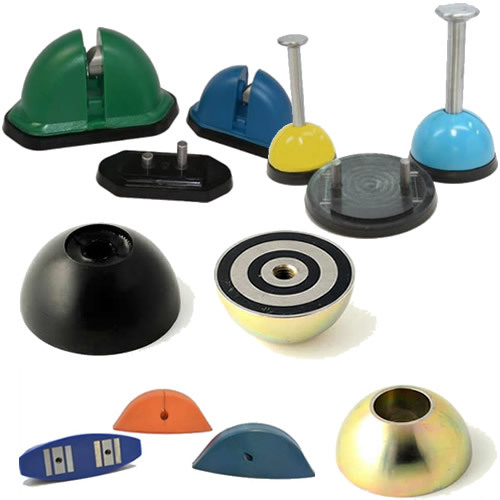 For fastening the anchors to formwork We have a wide range of magnetic holders for threaded socket anchors, spherical anchors, spread anchors and other anchor systems. Moulding profiles These profiled strips are designed for forming grooves and chamfers of varying shapes and sizes into concrete elements. 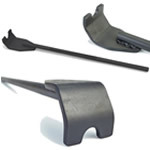 They are available in steel, plastic and rubber and can be obtained either with or without integrated magnets. Our magnets are suitable to solve fastening problems in the field of prefabrication and carpentry. They are built with boxes made out of stainless steel or sheet metal and come in various sizes and different levels of adhesion. 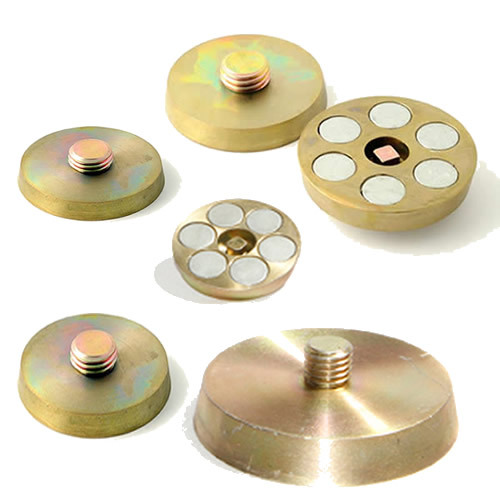 We are able to custom design magnets in order to best satisfy our customers’ needs. Magnetic field strength from 500 to 2000 Kg. Our shuttering magnet provides quick operation leading to improved efficiency when setting out and breaking down the formwork. We have developed a modular formwork system which can be used flexibly, rapidly, safely and efficiently in every field. 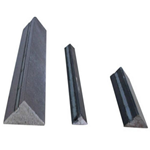 HSMAG can manufacture Triangle and Trapezoid Steel Chamfer / Magnet Chamfer in small and medium diameters according to customer specific requirements. Loaf Magnets with the retaining force. 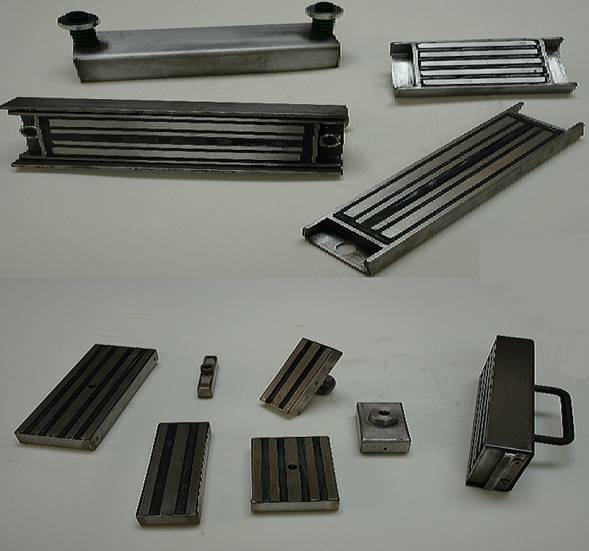 The loaf magnet is formed to be useful for our customers’ U-shuttering system , which make more adaption applications available. This lifting tool is for shuttering magnets of our line, it is strong available for all our shuttering magnets. 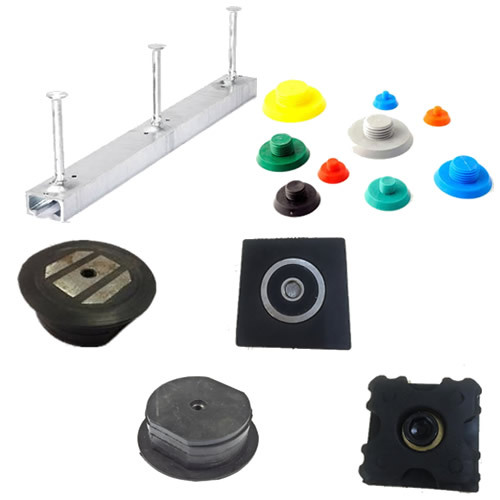 HSMAG Magnetic Fixing Plates (also kown as Magnetic Nailing Plates, Magnetic Socket Holder) is the best choose to fix sockets inserts to steel formwork if your precast concrete mold is steel. 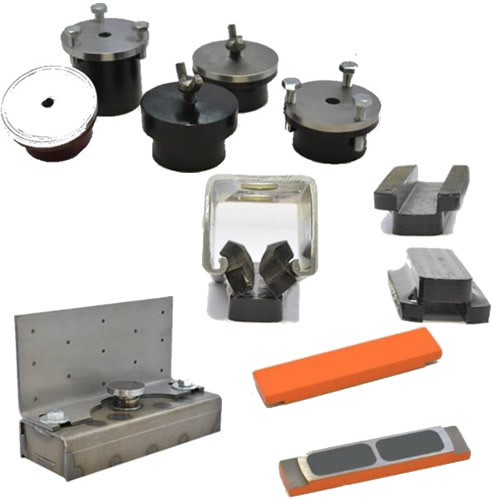 Miscellaneous Magnets, Steel Embedded Wood Plate Magnet, BUTTON MAGNET, Styrofoam Magnets, Cam Magnet, Form Liner Magnet, Bulb Tee Magnet, etc. These magnetic recess members (pocket formers) are very durable and are intended to be used many times and include very strong magnets embedded in the base as a once-piece unit.